After the Camaleon photo was published in FB, someone was kind enough to also publish this poster from a concert in which we played. Back then in the Lima of the early eighties, some started looking for a name for this music movement where many different tendencies conveyed, and one of the names tossed around was “Urban Music”. This concert, as far as I remember, was one of the few attempts to give this so called movement some coherence. 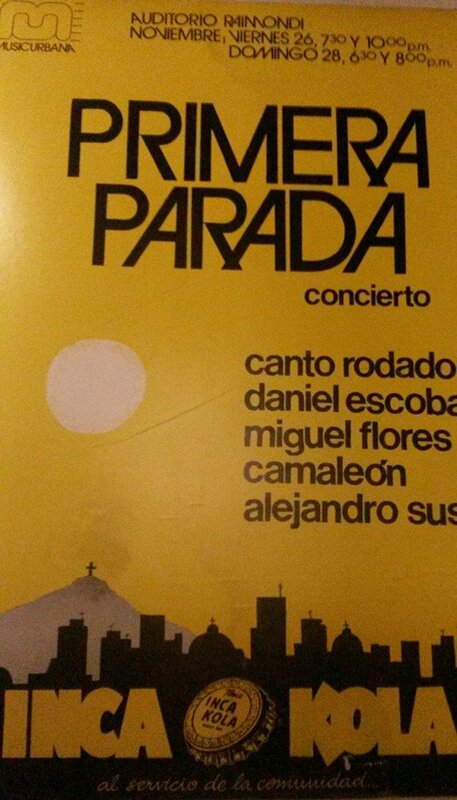 In this particular concert I also played with Miguel Flores. I eventually played with every name in this poster.